Are you a New York City Public High School Student? - Why wait, start College Now! 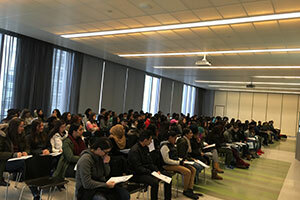 The College Now program (CN) is a comprehensive collaborative initiative of the City University of New York (CUNY) and the New York City Department of Education (NYCDOE). Through the active involvement of the colleges within the University, it promotes and supports high standards of academic achievement for NYCDOE public high school students. 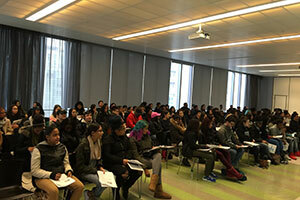 The CN program offers dual enrollment and college-readiness programs to NYC public high schools. Please note that only students who attend NYC public high schools, registered homeschooled students, and students with disabilities whose private school tuition is supported by the DOE can participate in College Now. The CN program offers qualified high school students opportunities to enroll in a variety of activities including college-credit courses, college-preparatory courses and activities, and summer programs. By taking college credit courses students save time, money, and earn college credit while attending high school. John Jay’s CN program also works closely with partnership high schools to design programs that enable students to develop their academic and personal potential. Participating high schools may offer college credit and/or high school courses at their respective campuses. 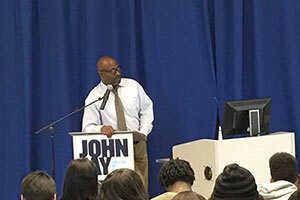 Students who register for college-level courses will be issued a John Jay College College ID card and will be able to use the library, swimming pool, fitness center, tennis courts, and microcomputer labs. The schedule for CN courses is slightly modified from the general college schedule. CN courses start later than regular college classes, but meet for longer hours. CN students are required to make a serious commitment to attend classes and complete all assignments. Participate in the CN program and experience the richness of college!